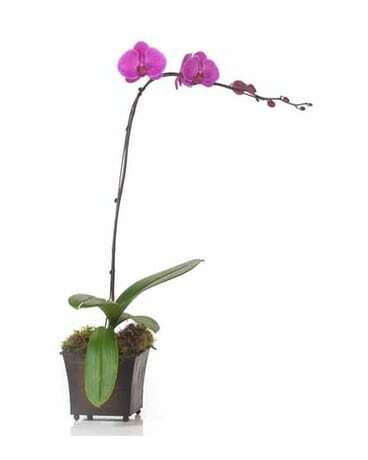 An exotic lavender phalaenopsis orchid comes delivered in a distinctive container. It's easy to take care of and lovely to look at. A 5" phalaenopsis orchid plant arrives in an exclusive metal pot.